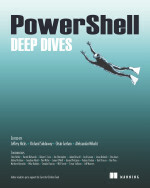 What Forums Can I Go To For PowerShell Help? Maybe you have been working on a script for a while and am just not sure what the next step is or perhaps you are looking for a peer review of something you wrote. Fortunately, there are several forums out there that can provide this help to you. While this isn’t an exhaustive list if forums, it will hopefully provide you with a place to start. If I am missing something, feel free to add it in the comments below. Find a forum that suits you and feel free to join in and help your fellow PowerShellers out! This entry was posted in News, powershell and tagged forums, help, Powershell. Bookmark the permalink. 11 Responses to What Forums Can I Go To For PowerShell Help? Note! The moderators and contributors are Willem Kasdorp, Jeff Wouters, Claus Nielsen, Jetze Mellema, Jeff Hicks and even Don when he has time to check in. I do my part by getting the word out to everyone else. Added both links. Thanks Tim! For your interest, there is also a french community Forum at http://www.scripting-powershell.com (From Arnaud PETITJEAN – MVP : http://powershell-scripting.com/index.php?option=com_joomlaboard&Itemid=76 ). Can I plug the Powershell forum at Spiceworks? Sure can! It’s been added.